Placement paper: Hindustan Computers Limited organizes campus placement drives every year and the placement process is a multiple round process which includes various exams . Here we will help you with various previous years question papers and solutions of HCL placement Exam. HCL issues previous year question papers for the aspiring candidates who want to join the company. The candidates who are interested in HCL and want to apply for the job can practice these question papers which will guide them and help them achieve the aim. HCL is a leading independent company in 1991 and since then it is has ventured into software service business and an IT consulting company. 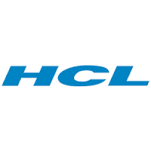 HCL is an Indian multinational company that is growing well in economical downturn. HCL has its head quarters in Noida, Uttar Pradesh. The company has its branches in 34 countries including European countries and United States. HCL is a leading Global company that provides various services such as remote infrastructure management, IT services, Software solutions, Business process outsourcing etc. HCL hires candidates from various streams like CSE, IT, EEE, ECE. Job vacancies at HCL are comparatively good than compared to other IT companies. Their employee relation is strong as they manufacture computer related components too. It has more than lakh employees worldwide. HCL selection process includes the following rounds- online test, English written test, Technical interview and HR interview. 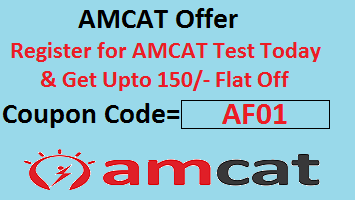 The written test and online test has following sections- quantitative aptitude, logical and reasoning , verbal ability. Quantitative Aptitude includes profit and loss, percentage, time and speed, decimal number, odd one in series, logarithms, pipe and cistern, permutations and combinations, chain rule. Logical and reasoning includes blood relations, syllogism, seating arrangement, direction sense. Verbal ability includes spotting errors, synonyms, antonyms, sequence of words, completing sentences, idiom phrases, ordering of words, ordering of sentences, one word substitution, analogy, comprehensions. Technical round includes technical questions that depict your knowledge of various subjects and languages like, c, c++, data structures, networking, databases etc. For practicing and clearing the HCL Placement process we provide you the previous years placement papers and their solutions. The material provided is for free and you can feel free to download and practise accordingly. All the best, to all the candidates preparing for placements. HCL Technologies Placement Paper and practice them to get good marks. For any further query or detail you can comment below. Your queries will be soon answered.